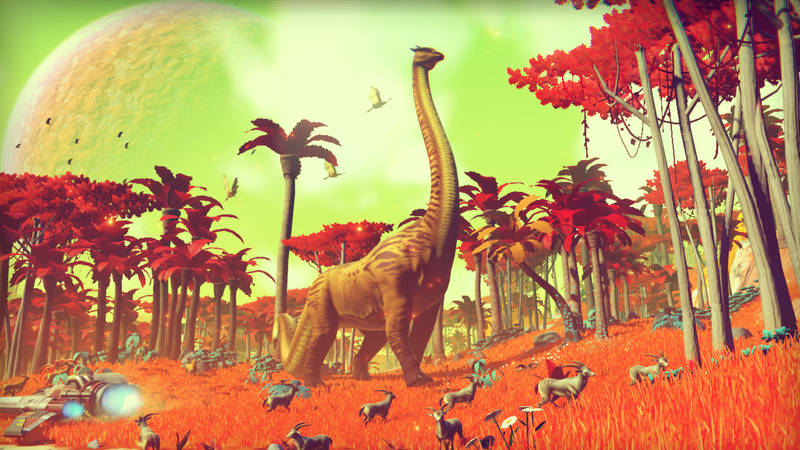 That info comes as part of a huge preview dump for No Man’s Sky, which has been hyped endlessly since it came out of nowhere to steal the show at the 2013 VGAs. (You may have heard—it’s big.) The folks behind the game held preview events in Los Angeles and the UK this week in order to get press playing, and the embargo went up this morning. We weren’t at the event, but you can read hands-on impressions from Keza over at Kotaku UK (or Germain at io9) if you want to hear more about what No Man’s Sky has to offer. Did you know that it’s really big?